Cindi Leive is the editor-in-chief of Glamour magazine and glamour.com, which together reach more than 17 million readers each month. Under her stewardship, the magazine has received a record number of National Magazine Awards, including Magazine of the Year, honoring print and digital excellence, and launched a monthly digital edition, popular special editions, apps, and books—including two New York Times best-sellers; a beauty magazine for Latina women, Glam Belleza Latina; and a digital video network featuring original programming inspired by Glamour in partnership with Condé Nast Entertainment. Under Leive, Glamour has received a record number of editorial awards, including a National Magazine Award for General Excellence in 2005 and the National Magazine Award for Personal Service in 2007. Leive’s work has also been recognized outside the media industry. In 2008 she received a White House Project EPIC award for publishing In Search of Hope: The Global Diaries of Mariane Pearl. In 2006 she received a Matrix award from Women in Communications and a Lead Her award from Girls Learn International for her activism in bringing Pakistani heroine Mukhtar Mai to the U.S. for the first time. Leive also frequently discusses women’s issues on industry and community panels and has appeared on Today, Good Morning America, The View and ABC World News Tonight. 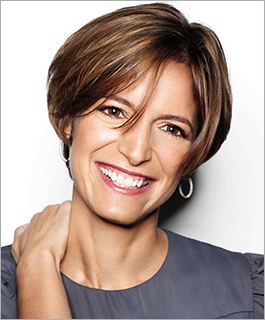 Prior to joining Glamour, Leive served as editor-in-chief of Self magazine, which enjoyed unprecedented gains in circulation during her time as editor. She began her career in publishing at The Paris Review and The Saturday Review.